I received a preview copy of the first episode of Doomsday Preppers airing on Tuesday, February 7th. I only saw one of the shows from the last season, and posted about it here. This premier episode that I took a peek at has the same format as last season’s. 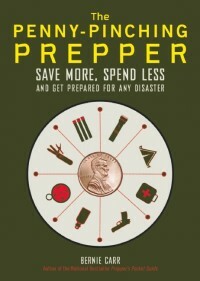 Each prepper featured has a different philosophy. The first couple had a large home made out of shipping containers and had years of food and water stored away, living a near self-sufficient life; the second was more of a survivalist/herbalist type, who was knowledgeable about living off the urban landscape by foraging weeds and creating tools out of rocks and the third was a young “party girl turned prepper” who lives in an apartment and practices her bugout skills. 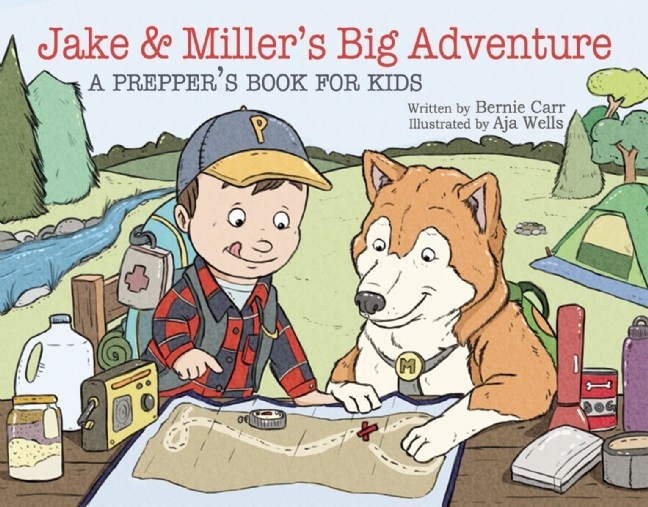 At the end of each segment they got an expert evaluation from a group called Practical Preppers, and a quick afterword on whether they followed the advice given. The final concluding comment by the narrator was about the percent chance the event they were prepping for would actually come to pass. The premier will have a second episode airing right after. I did not see that one, and I know I will be watching it. Overall I thought the show was interesting to watch – who can resist looking at what other people from all different walks of life are doing to prepare? People prepare for different reasons with whatever means they can manage. As you watch, you can form your own conclusions on whether the group featured aligns with your own views – whether you agree with their prepping methods or not – that is for you to decide. National Geographic Channel is airing two episodes of Doomsday Preppers back to back beginning at 9 pm ET/PT, as part of a new ten part series. Ugh! And I just cancelled my cable (to have more money for prepping). I’ll definitely try to catch this show though. Hi Barbie, Maybe a friend that has DVR or TIVO can save it for you. We watched last season with some family members, fun to watch with like minded folks. I watched a couple of episodes that were available to me on-demand (I think they are from this season, but I’m not sure). I was impressed by what these people have accomplished. But, it also made my feel extremely unprepared myself. I know I can only do so much, but dang I was a little depressed afterwards! Kind of put the fire under my arse to get a little more done. At least I am more prepared than most! Anyway, looking forward to learning more from the show. 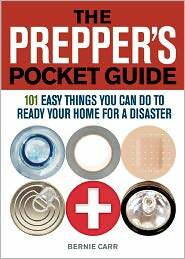 Hi Meg K That is true, Watching can give you prepper envy! Some people are so far ahead. Just compare yourself to how you were maybe a year or several months ago, you’ll know how much better off you are. I am not a blogger, but I just found the episode on my local cable. It even says it will not air until 2/7. The show runs for about 45 minutes. If you have turner cable or bright house check the entertainment on demand channel. crazy stevo, that is true, the on demand channel does offer it already. Thanks for the comment. Anyone know where I can find last season? I tried neflix and hulu. I would like to get caught up on the previous season. Any links would be awesome. enjoyed all the segments. In addition, the show was filled with great ideas. The only thing I did not agree with was the event happening percentage. I think the percentage is higher than stated of these occurring. I think the economy is on the verge of hyperinflation because there are so many dollars chasing too few goods and the government is continually printing more money. Just as Meg K mentioned I feel very unprepared compared to these folks. Hey Ron G, Glad you enjoyed watching the show. I picked up some good ideas so I thought it was worthwhile. The voice over announcer does try to soothe worried feelings by stating the low percentages of occurrence. Many of the folks are so much better prepared, I try not to compare myself but it is unavoidable.